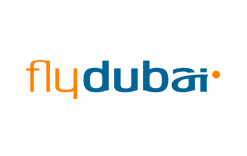 flydubai legally Dubai Aviation Corporation, is a government-owned low-cost airline with its head office and flight operations in Terminal 2 of Dubai International Airport.The airline operates between a total of 95 destinations, serving the Middle East, Africa, Asia and Europe from Dubai. In July 2008, the government of Dubai established the airline. Although flydubai is not part of The Emirates Group, Emirates supported flydubai during the initial establishing phase.On 14 July 2008 flydubai signed a firm order with American aircraft manufacturer Boeing at the Farnborough Air Show for 50 Boeing 737-800s with a total value of US$3.74 billion, with the option to change the order to the larger and longer range Boeing 737-900ER, according to the airline's demand. The first of these aircraft was delivered on 17 May 2009. Scheduled flights commenced on 1 June, with services to Beirut, Lebanon and Amman, Jordan. Since then, the route network has been significantly expanded.